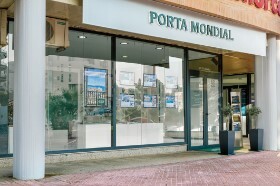 On the Internet Porta Mondial has been one of the leading addresses for real estate in Menorca for many years, and locally we have proved ourselves through our commitment to customer support. Due to the increased demand for beautifully situated villas, fincas and apartments in Menorca, we are looking for a committed acquirer/real estate consultant for the region of Menorca to start at the earliest opportunity. The possibility exists to continue the Menorca sales region as an independent franchise partner in the medium term after an initial training phase. As a real estate consultant with acquisition responsibilities you will work on a commission basis and form the interface between owner, prospective customers and your colleagues. You will acquire new properties, organize the professional recording of the object, create exposé texts and ensure that all necessary sales documents are available. You know what you are doing, as do your owners as you regularly inform them about the marketing progress. In addition you will receive processed customer requests for your region, contact the interested parties and accompany them in their search for the right property. You organize viewing appointments and take care of all customers' questions. With your exceptional service and support readiness you will accompany your customers professionally to all notary appointments and provide continuing after-sales service. We offer an attractive payment system. Qualified purchase requests for your region. Large customer database with interested buyers. Relief from back-office activity via centralised customer and object management. Attractive working environment and cooperation with your colleagues. Web-based work organization which also allows for time and location-independent working. Professional marketing standards for transparent and fair cooperation. Continuous training courses at the main office in Palma (from Porta Mallorquina). Regular exchange of experience with get-together meetings and international partners' meetings of the Porta Mondial Group. Synergy effect in the field of holiday rental through our sister company Porta Holiday. very good English and German skills, good Spanish and French skills. Excellent local knowledge of Menorca. Neat appearance with very good manners. Experience in sales and/or real estate industry advantageous. Responsible commitment, loyalty and customer orientation. If you are also well-networked in your area and would enjoy being part of a reputable and prestigious group of companies, we should get to know each other. Send your CV with salary expectations and possible starting date via the following application form. If you have any questions, don’t hesitate to contact us by phone or email! Please send us your application documents exclusively via the form below.